There are two steps to begin the floor selection process: 1) an in-home evaluation and measurement and 2) a visit to our showroom. Both steps are equally important but the order in which you perform them depends on your personal preference. If you choose to visit our showroom first, you may view our wood samples, discuss which options you may be interested in and then take a few samples back to your home for consideration. If you are planning to compliment your existing cabinetry and new wood flooring, we recommend that you bring a drawer or cabinet door with you to contrast stains and finishes. Next, an in-home measurement will be scheduled. During the in-home visit we complete a thorough assessment of the area and we will discuss any special needs or features for your flooring. Conversely, you may choose the in-home evaluation and measurement first. Taking this step first allows our flooring professionals to evaluate the area and existing features of the home. We would then schedule an appointment for you to visit the showroom and review a selection for flooring samples that have been specially chosen for your home. 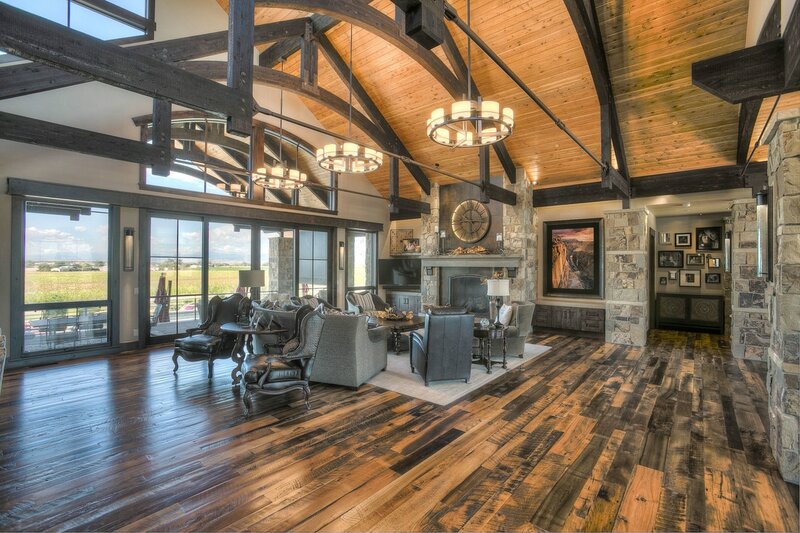 ​Upon final selection of your floor, a thorough estimate is presented in writing for your review and consideration. 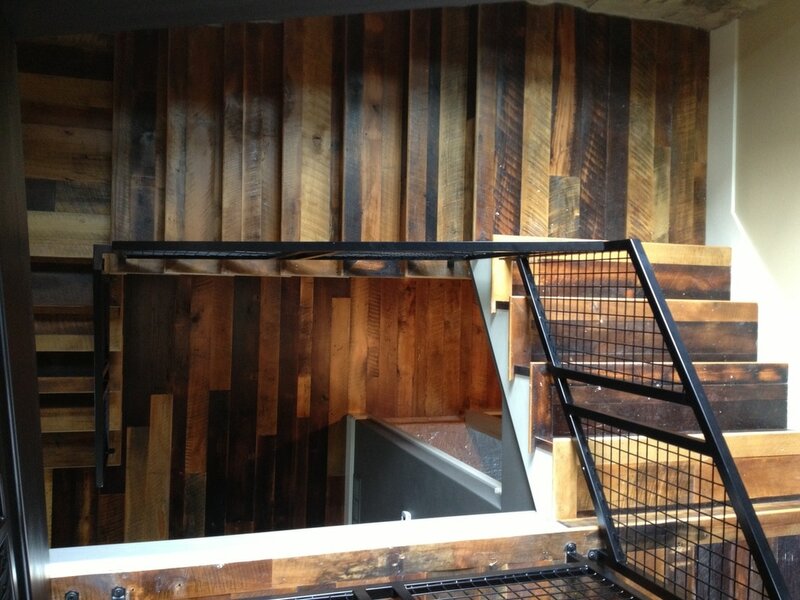 If you choose to proceed, we will order the flooring materials and schedule the installation with you. Please note that we require 50% payment of the total estimate prior to beginning the installation. 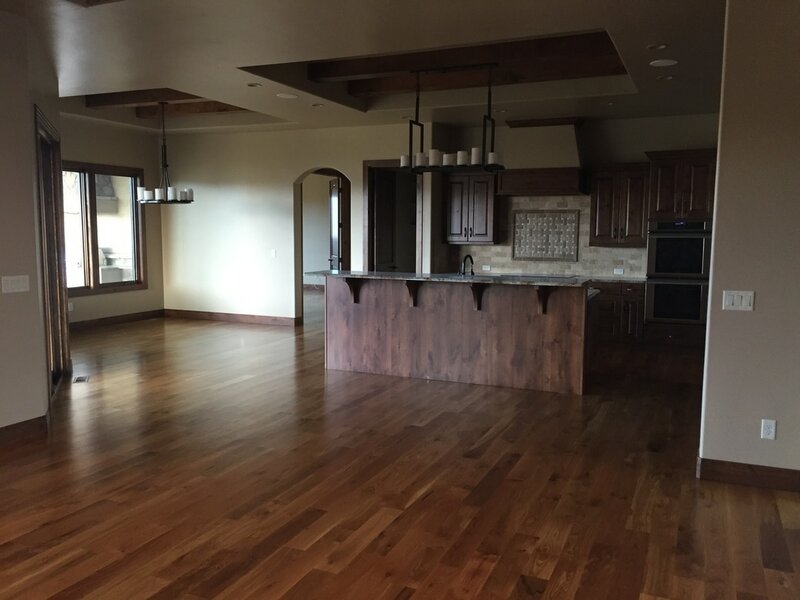 The remaining 50% is due at the time of final walk-through, once you are completely satisfied with your new floor. We are excited about the opportunity to install each new floor and will be ready to begin as soon as we arrive. To ensure we can begin your installation on time, please ensure that the area where the flooring will be installed is clear before we arrive. This includes furniture, appliances and rugs. We are not equipped to move items and would be happy to coordinate a professional moving company that can assist you with heavy or delicate items..
We tear out all existing flooring and haul it away. In most instances, your trim is removed and it is reinstalled upon completion of the floor installation. If you prefer to manage the trim removal and replacement on your own, that is perfectly acceptable. ​You will not need to be present during the installation of the floor but you certainly can be if you prefer. Please know that our team of professional installers will be utilizing several tools which will be set up outside of your home. These tools require a power source and may cause moderate noise. Additionally, our installation team will be walking in and out of the home measuring and cutting each board to match your specific needs. Accordingly, please be sure to secure any pets. ​You will need to leave the home during the finishing process due to the fumes associated with both the water-based and oil-based finishes. During this process we may close off certain areas or adjust your ventilation systems (air-conditioning or heating). This minimizes the amount of air, and potentially dust, floating in the air and settling into your freshly applied finish. You will need to stay off the floor until the finish is completely dry. ​Once your floor is completely dry our team of flooring technicians cleans the entire area. 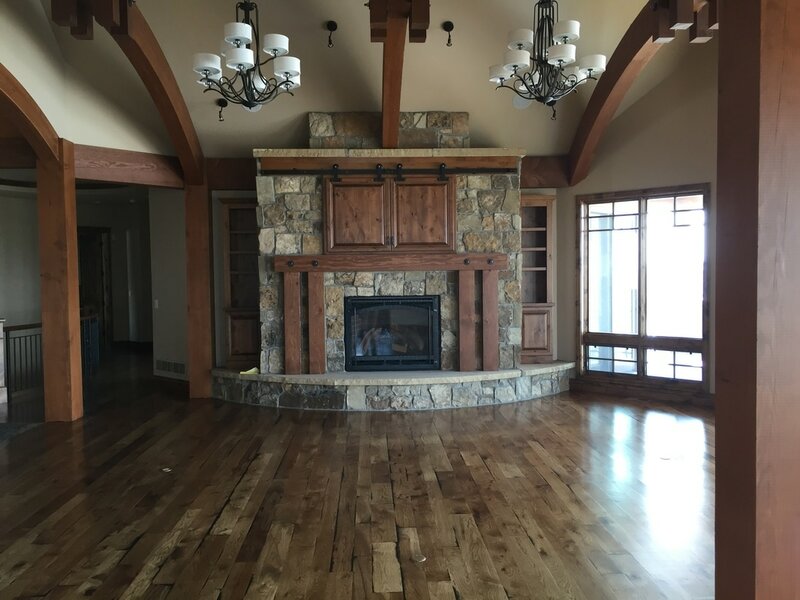 Additionally, the owner of the company works with you to schedule a final walk-through, during which he ensures the floors meets company and industry standards and more importantly, that the floors meet your expectations. Upon final acceptance of the floors, the final 50% of the payment is due.